An important opportunity to monitor the impact of political initiatives re-defining the relationship between military and society after a series of unpopular wars. Mixed-rank army housing estate, Tidworth, Wiltshire, 2018. Thirteen years of unpopular wars in Iraq and Afghanistan have seriously damaged the reputation of the British armed forces. Since 2006, a ‘militarisation offensive’ has sought to remedy this by encouraging public support for soldiers. This has had unseen effects on local authorities, already devastated by austerity, which have been asked to bear the material costs of this support. Significant measures have also been introduced to streamline the armed forces – in line with other public sector cuts - and reduce costs. This year sees the culmination of both processes as thousands of soldiers are relocated from overseas bases in Germany to newly expanded garrisons in rural England. In 2010 the British government announced the intention to restructure the armed forces with its Strategic Defence and Security Review (SDSR). Army 2020, the Army’s response to the SDSR, entailed closing overseas bases to concentrate the army in a number of super-garrisons across the UK, reducing the regular army and increasing the reserves. The MoD claims that this will provide savings of £240 million per year because it will allow the forces to streamline their operations by keeping more troops and equipment in fewer locations. It is hoped that a more settled and concentrated military presence will both cut costs to the military and maintain the profile of the armed forces as a public body. To what extent have any of these plans worked? We know that recruitment of regular and reservist personnel, outsourced to Capita, has failed to meet ‘trained strength’ targets despite the army redefining its definition of trained strength to help massage the statistics. A new recruitment campaign, aimed at the so-called millennial generation of ‘snowflakes’, is the latest ill-judged attempt to combat the army’s on-going recruitment and retention crisis. Meanwhile the government has dropped the five-year residency requirement for Commonwealth citizens and is once again recruiting from countries as far away as Fiji. Far less attention has been paid to Army Basing, the radical plan to re-organise military bases in the UK and to accommodate troops brought back from Germany. What happens when the army takes up more space at home? The deadline for ‘rebasing’ from Germany to the UK is fast approaching, with most of the moves scheduled for the summer of 2019. These measures are likely to have a significant impact on the relationship between military personnel and civilians in the areas affected. The Army’s desire to encourage greater military-civilian integration is central to the wider array of militarization initiatives that have been deployed since the early 2000s to try and increase public support for the armed forces. Since the 2008 Report of Inquiry into National Recognition of our Armed Forces, myriad changes have been introduced, including a national Armed Forces Day and an increase in Cadet Forces in comprehensive schools. The Armed Forces Community Covenant was another outcome of this move to politicise military work. This asks local authorities and businesses to commit to providing specialised services and help for military personnel and their dependents, as well as veterans. This is not just about endorsing the activities that the military carry out across the world; it is also an important factor in attending to the welfare costs of the wider service community, particularly the army families. In September 2018 we began a two-year project entitled ‘The Military in our Midst’, funded by The Leverhulme Trust. Over the last six months we have been monitoring the impact of these changes in and around the historic garrison of Tidworth, Wiltshire, one of the areas being transformed into a super-garrison. Over the last six months we have been monitoring the impact of these changes in and around the historic garrison of Tidworth, Wiltshire, one of the areas being transformed into a super-garrison. Salisbury Plain will see the largest influx with the bulk of new arrivals from Germany in summer 2019. The projection is for the population of Wiltshire to increase by 7000 in total, with 4000 service personnel being relocated there. The Plain has hosted a significant military presence since the end of the 1900s when the MOD commandeered land to provide a much-needed training area. It remains rural and isolated, with few train links and a limited bus service. The vast training area forms part of a militarized zone occupying a third of Wiltshire County. Everyday sight in an army town. | Antonia Dawes. The quality and design of military housing is intimately related to the wider project of Army Basing and Military-Civilian Integration because it has a bearing on the question of who takes care of personnel and their families. It is well-known that housing for military personnel is a complex and fraught issue. A 2007 exposé revealed the terrible conditions of army family housing whilst soldiers were serving in Iraq. Regular scandals have erupted indicating endemic damp and hazardous materials such as asbestos. 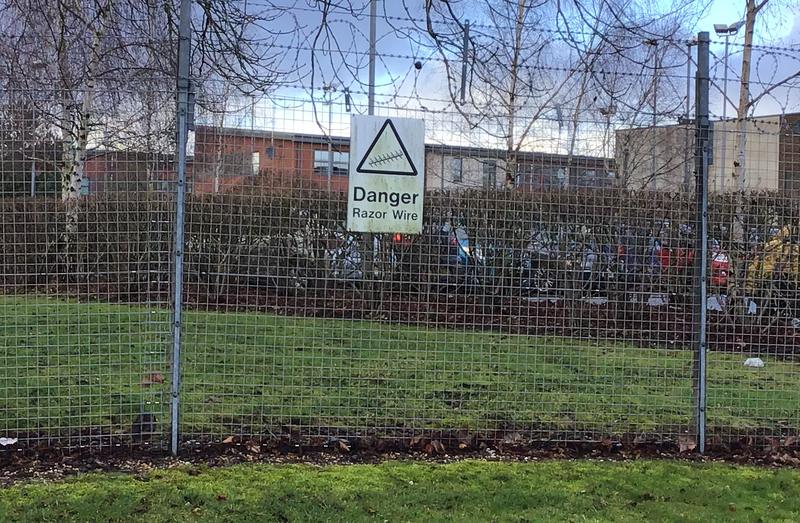 In January 2019, a leaked report said that single soldiers’ accommodation in Tidworth, Bulford, Larkhill and Aldershot, managed by Aspire Defence, was “not fit for animals”, highlighting “faulty equipment” and “broken or unserviceable infrastructure”. 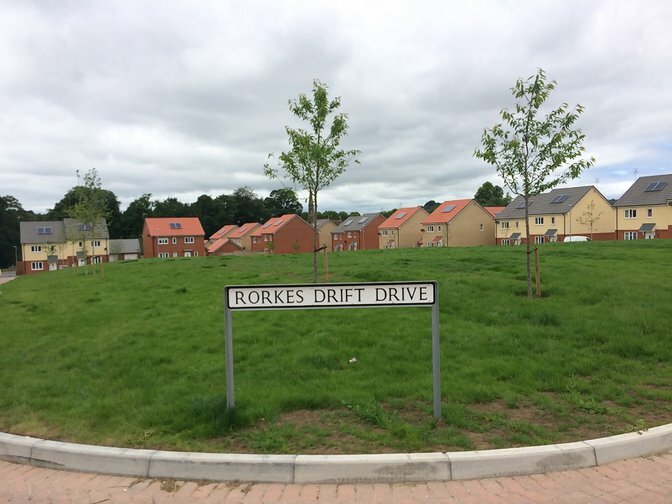 The new estates being constructed to replace uninhabitable homes, as well as to house the additional troops returning from Germany, present opportunities to re-think how the social life of army families is organised. In the past, married soldiers were expected to live alongside colleagues of the same rank. Now, the dependents of personnel are expected to move into estates built for mixed ranks and, in some cases, even alongside civilians. The MOD is also trying to get more servicemen and women to live in privately rented accommodation or buy their own homes through their Future Accommodation Model. This will cut costs for the MOD while appearing to offer greater choice in terms of lifestyle. However, the rent for the new housing will be higher than it was for previous homes of the same size. This is designed to prepare personnel and their families for a future where the MOD takes less and less responsibility for their welfare. But the question of whether service families should be integrated with civilians or have their own dedicated estates is highly contested amongst the families themselves. One woman we spoke to told us that she and the other wives didn’t want to move into the newer, much smaller houses on estates that will have mixed rank and civilian residents. She said it would destroy the social networks that they depend upon on in their ‘patch’ when their husbands are away. Over the last year the Army Welfare Service has been travelling out to Germany to prepare the family members of troops who are being re-based in the UK. They have told us that many dependents are not happy about the impending move. The cost of life in the UK, particularly in areas like Wiltshire, is much higher and spouses have been advised that they will have to get jobs. Also people often feel quite settled in Germany and it is not uncommon for individuals to marry German citizens. They benefit from an overseas living allowance and enjoy good schools and childcare facilities. The prospect of life on windswept Salisbury Plain in post-Brexit Britain is understandably not so appealing. The contribution of county councils has become indispensible to these changes. Several years before the Armed Forces Community Covenant campaign was dreamed up, a project called the Military-Civilian Initiative (MCI) was launched under New Labour with the purpose of rationalising the support that public bodies needed to provide to the military. In 2009 Wiltshire County Council was the first local authority ever to audit the impact of the military presence. Today, making sure there is sufficient local housing for personnel and their families is one of the central pillars of military-civilian integration in the area. These partnerships go beyond infrastructure. Dependents of personnel are often caught between their civilian status and the conditions of service life, which is marked by frequent moves and the soldier parent being absent for long periods. Schools with service children receive a pupil premium to help make up for this. Spouses can find it impossible to build a career. Post-service, veterans often settle in the last area where they were based. This creates further challenges for healthcare, education and the local job market. The creation of a more settled and concentrated armed forces population allows the military to offload some of its housing and welfare costs onto the public purse. 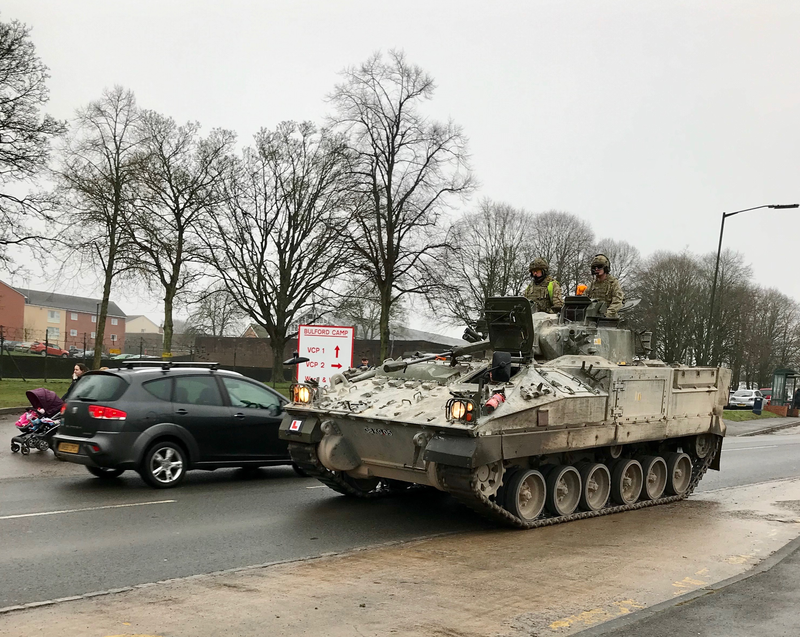 Tidworth garrison has also been working with Wiltshire County Council to ensure that education, transport, leisure and healthcare provision is in place for the new arrivals. This entails building new, wider roads in this rural area and more facilities for car parks. As part of the rebasing agreement, 1125 new school places have been funded (90 nursery, 750 primary and 375 secondary). Two new schools are being built and existing schools have been expanded as much as possible to increase classroom sizes. Needless to say, there are concerns about whether all this construction will be ready in time. 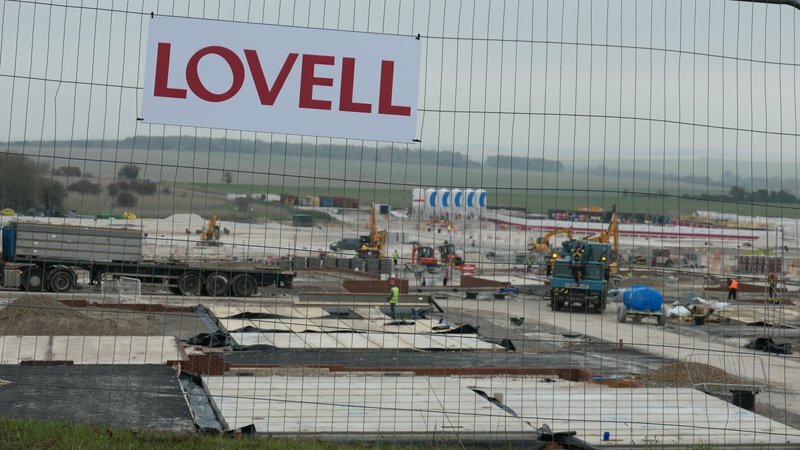 Schools are a particular worry because, despite local media reports, there are rumours that some of the new builds are behind schedule, and they may not provide sufficient places. We were told that the figures for relocation were calculated on the basis of national statistics about family size. But military families tend to be bigger than in the civilian population because families are younger, housing costs less and childcare costs are subsidized. There may have been less incentive to try and generate real statistics for Army Basing because of the impossibility of following up such a complex and long-term project. Staff in military admin roles are normally re-posted every couple of years and as a result there is little accountability and institutional memory built into the system. The new forms of collaboration between public bodies and military organisations also highlight the problem of very different timescales. Local authorities need at least nine months’ notice in order to budget for extra school places, and they also need solid proof that those spaces are needed. Council governance is not well prepared to deal with a large population influx that only needs to give six months’ notice of its intention to move. The task – even just at the administrative level – is harder given the extreme financial strain that local councils face currently. The army may be feeling the effects of austerity but so are all other public services. Even as the Army Basing plan reaches its climax, Wiltshire Council has faced a wave of redundancies and the community engagement managers for Amesbury and Tidworth, who were liaising with Tidworth Garrison on Army Basing matters, have lost their jobs. There have been remarkably few studies of the impact of the military footprint on surrounding areas in the UK. This dramatic expansion of a service community within a region of the country that is already habituated to tanks and the sound of explosions is taking place largely out of sight. Yet it presents an important opportunity to monitor the impact of highly political initiatives that are attempting to re-define the relationship between military and society, measures that were put in place during a period of intense deployment in unpopular wars. At the very least, the rise of the super-garrison raises important questions about the costs and consequences of maintaining a professional standing army in the twenty-first century.